We are delighted to tell you that Keenpac will be exhibiting once again at this year’s Packaging Innovations, held on the 16th & 17th of September 2015 at Olympia, London. It’s our opportunity to let you see some of the packaging projects we have been working on lately, showcase innovation as well as give you a snapshot of what some of our customers across the globe are doing. We will be positioned conveniently at Stand K40, just opposite the VIP Club Lounge in the Luxury Packaging area, so we should be pretty easy to find. The show is a great chance for you to catch up with our team face to face so please give your Account Manager a call or us a call on 0116 2890900 if you would like to arrange a specific appointment. 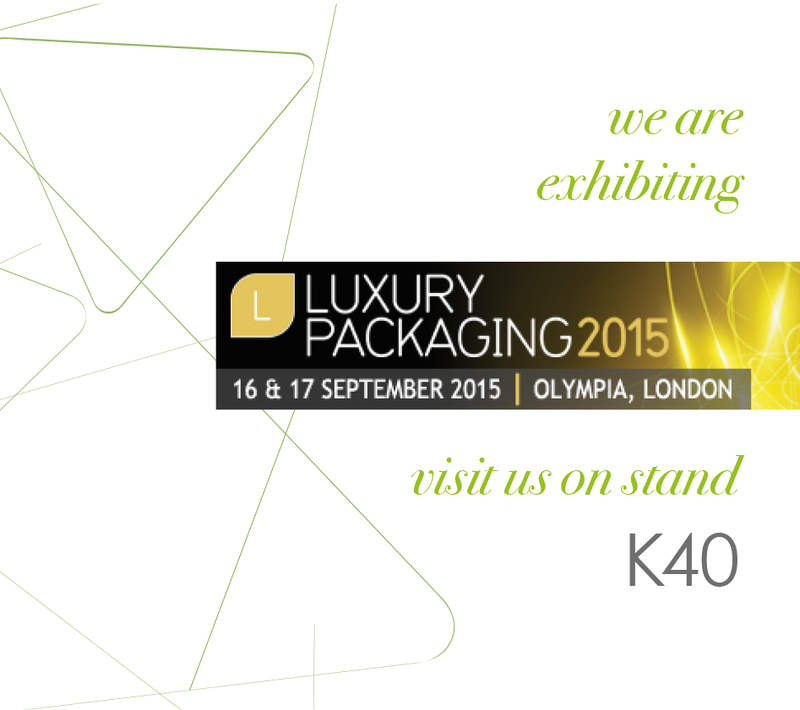 We hope you can make it, and look forward to seeing you at Stand K40 in the Luxury Packaging area. Free to attend, but by pre-registration only, the series of high-level seminars will evaluate, debate and celebrate the latest creative thinking and innovations in luxury and premium branding, packaging and design. Seven steps to luxury packaging In this session hear how Johnnie Walker Blue Label was given a brand refresh to create renewed impact for a broad audience. How does the new packaging radiate quality while retaining the brand’s core DNA? Insights into the mind of affluent consumers 10 questions you have always wanted to ask the e-consumer Delve inside the minds affluent and HNWIs; based on in-depth research with 1,000 HNWIs in the UK, gain first-hand insight into real preferences and attitudes about luxury packaging from people who are actually influenced by and purchasing your products! • Live insight – what drives purchasing decisions of HNWIs? Beyond the shelf – linking packaging with social media & marketing Innovation and persuasion is becoming contingent on a brand’s ability to engage in direct dialogue though social media. How are you using online to delight your customer and what are you doing to make sure they are ‘sharing’ their sensory experiences via their social networks? • How does luxury branding and packaging translate in the online environment? In-transit stores and luxury gifts With consumers increasingly in transit, store formats that speak to an on-the-go commuter lifestyle are booming in value. From underground stores and en-route concept shops to the burgeoning trend for micro in-store work hubs, how can you infiltrate luxury retail’s new high-traffic hotspots? • How are different retail environments responding to luxury consumer demands? Packaging luxury – in the air, online and in-store! Gain insight into how leading luxury brands are generating in different retail spaces; then take advantage of the opportunity to explore your own day-to-day challenges and potential solutions. Packaging design and innovation today and tomorrow – trends, drivers and why creativity and the customer is more important than ever The luxury packaging market continues to grow, driven by cutting-edge trends like online and personalisation and – at the same time – restricted by new demands for sustainable development and responsible sourcing. Gain insight into how the most savvy luxury brands are embracing the latest innovations in packaging and design to maximise impact and appeal!